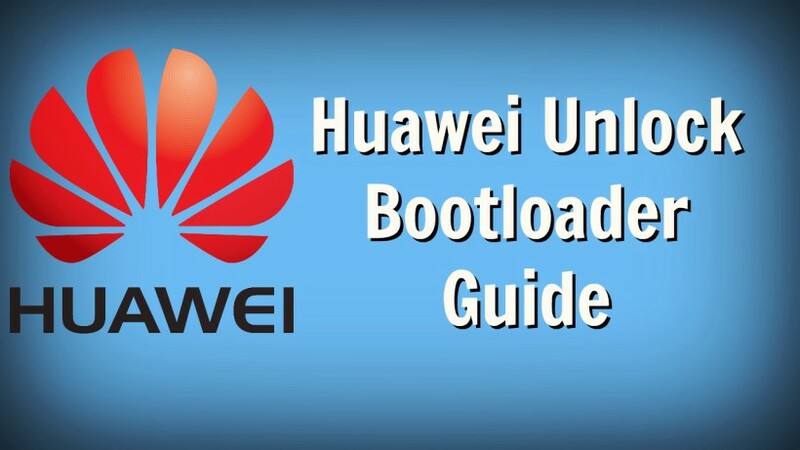 Today, here in this guide we will explain to you How to Unlock Bootloader of Huawei Devices. Huawei Unlock Bootloader is the simple process and all it takes a few minutes to complete the whole process. All you need Huawei unlock code or key to unlock your Huawei phone. Here in this guide, we will show you how to get Huawei unlock code and how to use it with ADB commands to unlock the bootloader on Huawei phones. This guide will work any Huawei phones and one of the quickest Huawei Unlock Bootloader step by step guide. The unlocking process is same like Motorola, Sony and other manufacturers who officially allow bootloader unlocking on their devices. All you have to visit the Official Unlocker page of Huawei and generate the Unlock key and use the same in ADB commands to unlock the bootloader. Once you unlock the bootloader of your phone, You can root your phone, install custom ROMs, kernel, etc. Follow the detailed instructions below to unlock bootloader on your Huawei device. WARING:- Unlocking bootloader will completely delete all the data from your phone. All your photos, music, videos and other user files on the device will be completely deleted. So make sure to take the full backup of your phone. The explanation for this question is actually straightforward. If you would like root your phone, then you would need to flash Supersu zip file on your phone, so to do this first you have to unlock the bootloader of any Android smartphone to make some change on your Android system. In easy terms Unlocking the bootloader lets you install custom Firmware on your own Android phone. 2. Enable USB debugging on your Huawei Android device. Go to Settings » About tablet » and tap Build number 7 times to enable Developer options. Now go back to Settings » select Developer options » enable USB debugging. 3. Make sure that your phone has at least 50-60% charged. 1. First, visit Huawei Bootloader Unlock request page on your PC and register/login to your account. This is the important step to get the Unlock key for your Huawei device. So fill all your details and register. 2. Accept the unlocking agreement by checking the “I have read and accept all terms above” checkbox and click the Next button to start the process on your phone. 3. 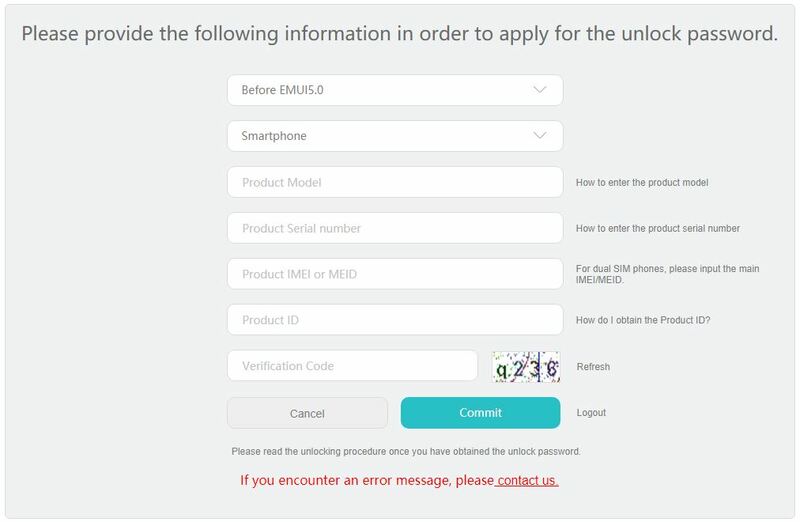 Now you will see a form and asked information about your Huawei device. Fill all of them and hit the Commit button. 4. After that, you’ll get the unique 16-digit bootloader unlock password for your device. Save that key somewhere, because you need this key in the next steps. 5. Now Open the ADB folder that you created above while installing the ADB and USB Drivers. 6. 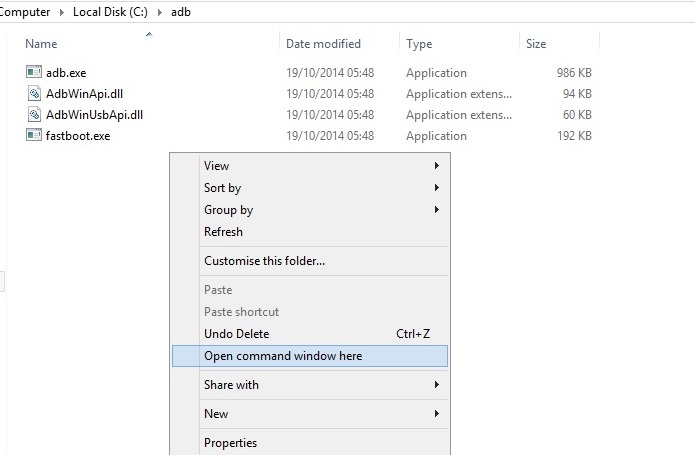 Open the command window in ADB folder by pressing and hold the ‘shift’ key and right-click anywhere in that folder. 7. 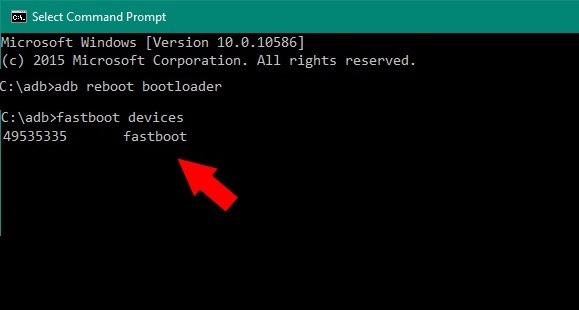 Connect your phone to the PC with USB cable and run the following commands to boot your phone into bootloader mode. 8. Once your phone in bootloader mode, enter the following command to check the connection between your PC and Phone. Replace text your-unlock-password with your 16-digit unique unlock password that we obtained in Step 5 above. 10. The bootloader unlocking process will start automatically. 11. Once completed, your phone will reboot automatically. So with this way you can easily unlock the bootloader of any Huawei Android smartphone. Now you can root your phone and install your favorite custom ROMS. If you have any doubt related to above process comment below. Ciao ragazzi ho un Huawei Y560-L01 senza root. ho provato in tutti i modi ad ottenere il codice di sblocco ma non c’è verso. come devo fare ?